When your employees adopt a healthier lifestyle, there will be benefits your company can measure. It’s a win for everyone! Don’t get lost in a 15-person class where your instructor can’t watch you. Small group classes (6 people maximum) are an incredibly effective way to get a very high level of training. Technique and form are essential to getting the results you want. Our classes allow you the flexibility to work with a fitness professional at an affordable rate without sacrificing form and results. 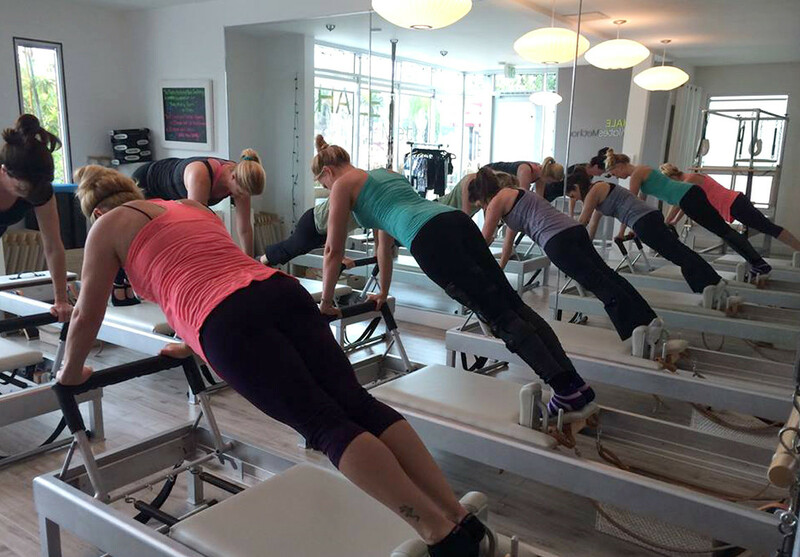 At HALE, we offer a variety of classes to help you reach your goals and stay motivated, including Pilates equipment classes, TRX and High Intensity Interval Training (HIIT). Our classes will help get you and your employees in the best shape ever! Have four (4,5,8, or 10+ for the best savings) employees that are ready to join. There are a few ways to get your employees to sign up. Companies can offer a HALE membership to employees in 3 ways: 1) Voluntary (employee paid); 2) Shared (employee and company paid, you choose the contribution); 3) Subsidized (company paid). Please contact us at (310) 316-2421 or e-mail us at info@halepilates.com to get your company started! The first month will be pro-rated.